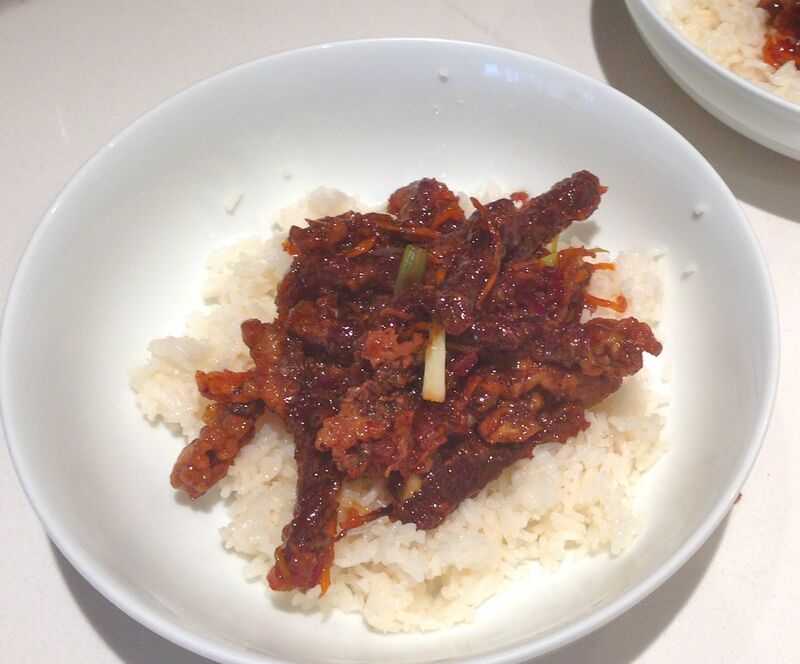 This dish is one of my favourite Chinese treats that I’ve never considered cooking before as I thought it would be far too complicated and time consuming. How wrong I was! It’s the perfect quick, easy dinner that tastes deliciously authentic. Give it a try and let me know what you think. Crispy, tender and tasty…and on the table in 20 mins! Mix the eggs and cornflour together well in a large bowl. 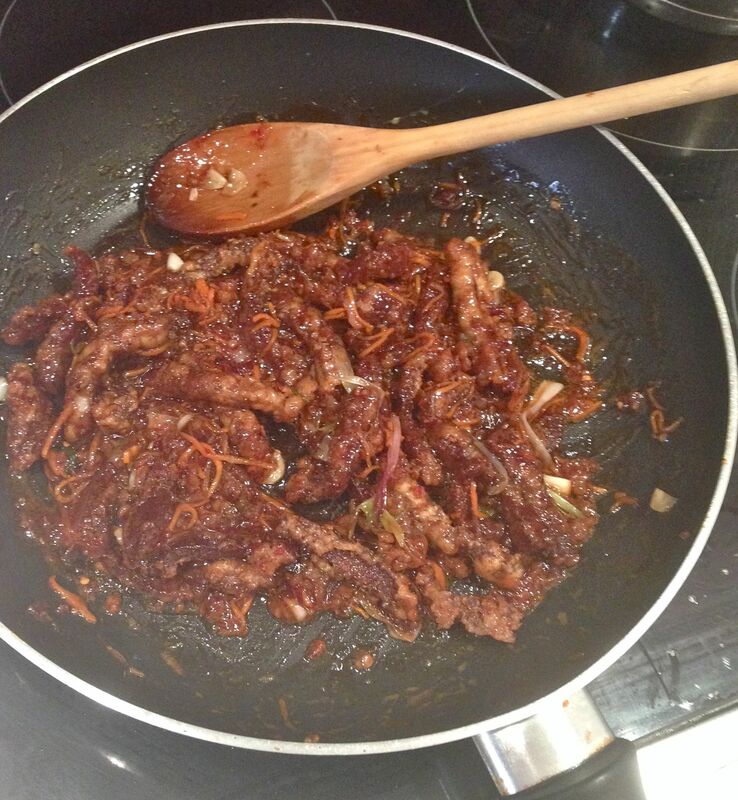 Add the beef strips and coat them thoroughly with the mixture. In a pan heat enough vegetable oil to deep fry. Add the coated beef strips one at a time, leave for about 10 seconds, then stir to make sure they don’t stick and fry for around 5 mins until the strips are crispy. Don’t overcrowd the pan, I did it in three batches. 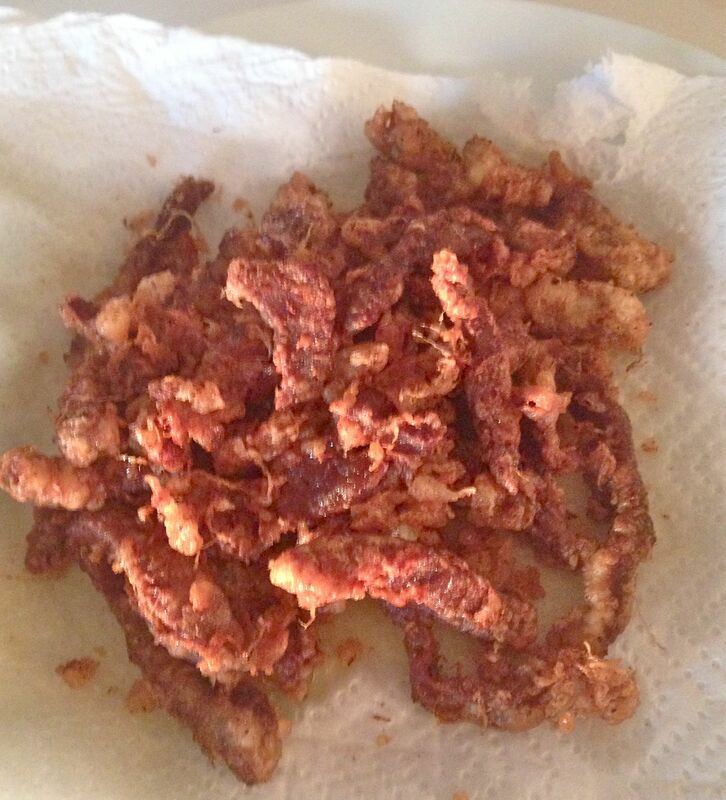 Once each batch is cooked, remove from the oil and set on a plate covered with kitchen towel to drain the fat. Discard most of the oil, keeping enough to stir-fry the vegetables. Add the carrot, spring onion, garlic and chilli and fry until cooked. Add the sugar, sweet chilli sauce and soya sauce and mix together well. Put the beef back in the pan and coat thoroughly with the sauce. Cook for a few minutes until everything is piping hot. Serve immediately in a bowl with plain rice. Yum, i love this recipe. One of my favorites, thanks for sharing. Glad you enjoyed it Simon, have you tried any of my other recipes?